Full disclosure, I graduated from the University of Florida in 1995. Judging by the tweets (#SpencerAtUF), a lot of people showed up to protest and now they’re walking out of the building. Spencer, who heads the National Policy Institute, a nationalist think tank, is scheduled to speak at 2:30 p.m. EDT [October 19, 2017] at a [University of Florida] campus performing arts center. The university said it did not invite him to speak, but was obligated by law to allow the event. 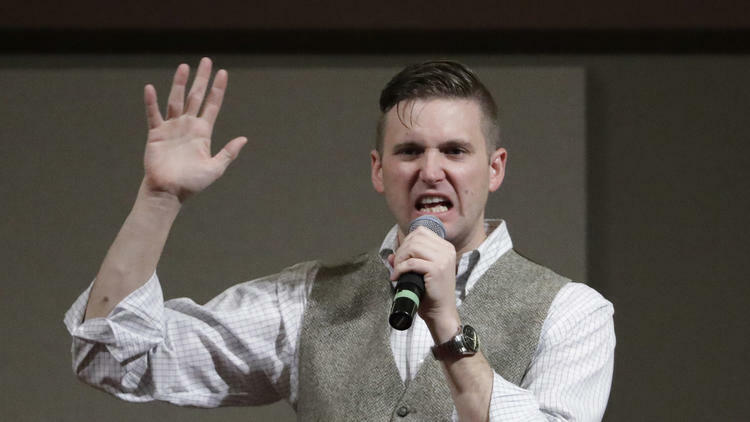 Richard Spencer’s event at the university in Gainesville, which prompted the governor to declare a state of emergency to prepare for possible violence, comes about two months after rallies by neo-Nazis and white supremacists in Charlottesville, Virginia, led to a deadly clash with counter-protesters. 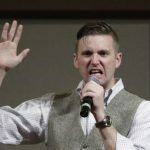 Last December, Spencer visited Texas A&M University, and was met with a small crowd, most of whom were protesters. At that time I said watch this guy we’ll see him again. I’m posting this here just so we remember his name. I have a feeling we’re going to hear more from him in the future. While he was giving his speech the university was hosting an “Aggies United” event across the street. Some 400 people attended Spencer’s speech – most were protesters and most of the protesters weren’t students at A&M. Many more attended Aggies United.